DIY Shade - Shade Sails Made Easy! DIY Shade Shade-sails Made Easy! Do It Yourself Shade Cloth Sails. How to Design & Install Your Own Quality Shadesail and save a Fortune! Finally, A STEP-BY-STEP How-To Manual for installing your very own PROFESSIONAL QUALITY SHADE SAIL. Hello. 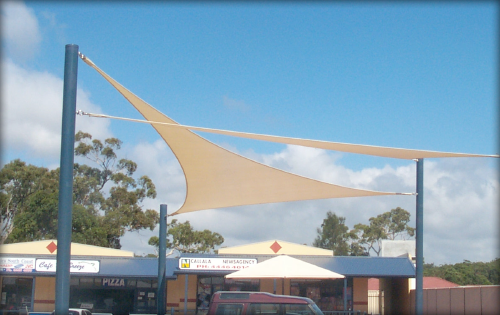 For over a decade I’ve run a successful business designing and installing custom-made shade cloth sails. I’ve taken what I’ve learned and summarised it into an easy to read, easy to apply manual that makes it easier than ever before to install a DIY Shade Sail and get a professional result. Not only will you gain a great sense of achievement having installed your very own shade sail, you’ll save thousands of dollars! I know this because all 3 shade sails to the right here are Real Life Examples of a actual shadesail installed by people who had never done it before. Using the easy to follow information these DIY’er installed their shadesail all by themselves. These guys did it and you can too! Just follow the step by step instructions showing you how high to make your poles and how deep to dig your holes. As you can see, the end result will be a professional quality shade sail at a fraction of the price you would have paid someone to come and do the job for you. In it I look at some common shadesail designs and make comments about what works and why! DIY SHADE, Shade-sails Made Easy is a step-by-step installation guide for the DIY Shade sail installer. It covers the basic principles of designing and installing a shade sail. You don’t have to worry about complicated jargon. We’ve left all that out. If you’re planing to cover the Sydney Foodball Stadium with a shade sail then this book probably isn’t for you. If you’re planning to cover your courtyard or swimming pool then this book will answer all your questions and walk you step by step through the process. 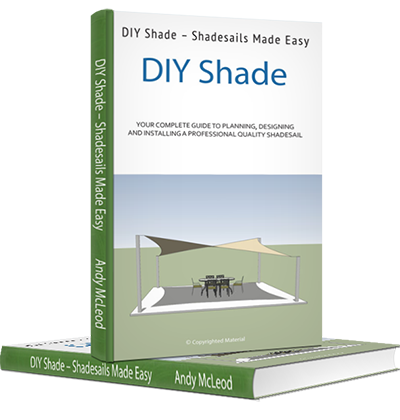 Order your electronic PDF copy of “DIY Shade – Shade sails Made Easy” right now and we’ll email you a link to download the book so you can get your project started right away. You can print it or read it on your computer. As part of this special offer we also want to refund you the price of the book so if you buy shade sail from us within the next 6 months We’ll refund you the full price of the book. That basically means that you get the book for FREE!! On top of that, if you buy your shade sail from us at Shade Australia we’ll also give you a 50% discount off your stainless steel hardware. Typically, the cost of stainless steel turnbuckles and shackles for a shadesail is around $120. That means you save another $60. And one more thing… if you buy the stainless steel hardware from us we will include a FREE Tube of stainless steel lubricant. 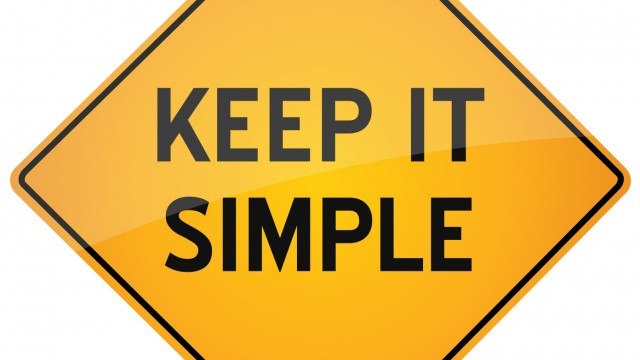 It’s is a common mistake people make – they buy expensive stainless-steel fittings but don’t lubricate the threads. What happens is a something called “thread galling” which basically ruins the turnbuckles. I’ve seen this happen over and over again. We’ll make sure this doesn’t happen to you! We’ll send you a FREE tube of special stainless steel lubricant with your hardware. Right away we want to give you a FREE Video with some valuable shade sail design tips. Click to View. What is and what isn’t a Shadesail. What to look for when ordering your shadesail. UVR Block VS Shade Factor. What you need to know about Steel Columns. Calculating the Volume of Concrete Required. How to fit a shadesail correctly. We’d love you to buy this book and install you’re own shade sail. We’d also love you to give us your feedback. Here is what some people have told us already. When it comes to installing your own sun shade I’d say don’t even think about it unless you get a few tips from the pros. This guy gives clear practical information about how to avoid the making what seem like silly mistakes in hindsight. I bought it and although my project isn’t finished yet, I’m confident we’ll end up with a great result. If I hadn’t ordered this book, I know exactly where I’d be now – in a hole, not digging one! Read it from front to back. I’m going to put in a shade cloth sail this summer and wanted to learn all about it and figure out how to do it on the cheap but still be nice and look professional. This book helped me do all those things. I like shade, I like cook-outs, I like my yard. I don’t much like digging holes. The value of this book to me was to know who to hire and what to tell them to do. The book gives sizes of poles, depth of holes and other useful information about how to design a really good shade sail for your yard. I’m expecting perfection. That’s me and I have a shade to prove it. I followed the guide. (I would have like it to be in imperial because its written for Australia which is metric and I had to do a few conversions but that wasn’t to hard) and now I have a cool shade and a happy wife. Life is good. I looked at buying the book a while ago but never did anything. Now I’ve just come back and bought it and noticed that quite a bit of the information has been updated. There is lots of clear photos and explanations. I’d say if your even half handy at DIY stuff you could have a good chance of getting it right first go. Written in a practical easy to understand way I’ve found this book to be well worth what I paid for it. The information was presented logically and for someone like me who know basically nothing about this, I’ve learned a lot and feel confident to give it a go. I looked at this a couple of times before buying it. Wasn’t a lot of info in the “Look inside section” but I went ahead and bought it and I’m glad I did. The book gives really good detail about how to plan the project and put it into practice. I’m a big one for doing a bit of research on any thing I’m doing new for the first time and as much as anything the value for me has been avoiding some of the big mistakes which I’m sure I would have made. Fact is, you can scan round the internet looking for how to do this or you can just put your hand in your pocket and buy it and save yourself a whole lot of time and get everything you need right there and then. In this case, I’d say don’t waste your time trying to find this stuff out there in cyber land, it’s not out there, just buy this book, the info is genuinely good and worth the price. If your looking for a book that is full of practical experience and charts and diagrams about how to put up a shade then you should consider buying this book. I’m not 100% sure that after reading it that I can do everything that he talks about but even he says that, do the bits you want and get a contractor in to do the rest. That’s what we did and it worked. “I’m a semi-handy man and was contemplating putting up a shade in our yard but wasn’t confident about how to do it. I also wanted to know about how big I could go and if I could hook one corner to the side of the house. This book helped me work out what was possible and what was a big dodgy and, more importantly to know that I was in over my head. 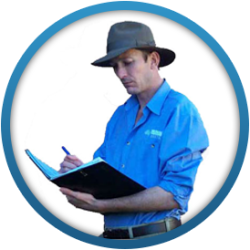 In the end it has helped me to talk to some contractors in an informed way and to give clear instruction as to what I want.” I plan to do parts of the job and get others in to do the ‘heavy lifting’. Glad I got it. Worth every cent! When I started my business back in the summer of 2000 I wish this information was available. It would have saved me thousands of dollars and countless “expensive lessons”. Back then I paid an engineer thousands of dollars to calculate all the sizes of holes, poles and hardware and provide them to me in a detailed set of engineering charts. I’ve taken those charts and summarised them to make it easy for YOU as a Do-it-Yourself Shadesail Installer to read and apply them. They are right there in the book ready for you to use. The charts alone are worth their weight in gold if you’re considering installing your own shadesail. They’ll ensure that the work you go to won’t be wasted. That when you install your own shadesail you will be able to reference a chart that gives you the correct specifications for columns and footings. 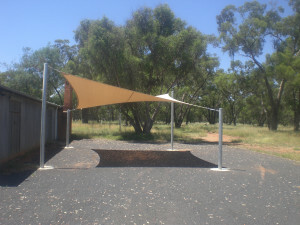 Did you know, shade sails also provide protection from hail. Here’s a shadesail we put up to protect this car in the driveway. Not long after it was installed a big hail storm when through Sydney and the sail filled with hail. The owner of the car took the photo on the left. After the hail melted we went back, gave the sail a quick re-tension and it was as good as new. That’s right shade sails are also hail sails. Choose your desired version of this great book. The only thing left to do for you is to pick your version. We’ve prepared an eBook version, Printed version or you want to buy on Amazon. Placing your order for the DIY Shade e-Book is done using Paypal. You can use your Paypal account or if you don’t have a Paypal account you can use a credit card. All transactions are handled securely by Paypal and we do not store any credit card information. Once you’re order has gone through, you will receive 2 emails from us. One with your receipt and one with the download instructions for the e-book. PLEASE NOTE: This can typically take anywhere from 5 minutes to a couple of hours. The download is approximately 3.5mb and often it can go to your spam folder. If you haven’t received your download link within a few hours, please EMAIL US here or call us on 1300 155 233 and we’ll resend it. You can also order a bound of the book from us. We’ll pack it and post it out to you. You can also order a printed copy of the book directly from Amazon.com. Orders with Amazon typically take 2-3 weeks to arrive. Amazon occasionally adjusts the price which is beyond our control. If you’d prefer you’re welcome to call us on 1300 155 233 and pay by credit card over the phone. We’ll take your order and email or post the book out to you. If you have any questions at all about the purchasing process feel welcome to email us here. If you like you can visit our premises and buy the book in person. We’re located at 17 Norwich Road Ingleburn 2565 in South West Sydney. We’re open normal business hours. Today, every outdoor activity requires some form of Sun Protection and a quality Shade sail is the best UV protection there is. A Cancer Council Study reports that sunburn can occur in as little as 11 minutes so we need to take action. 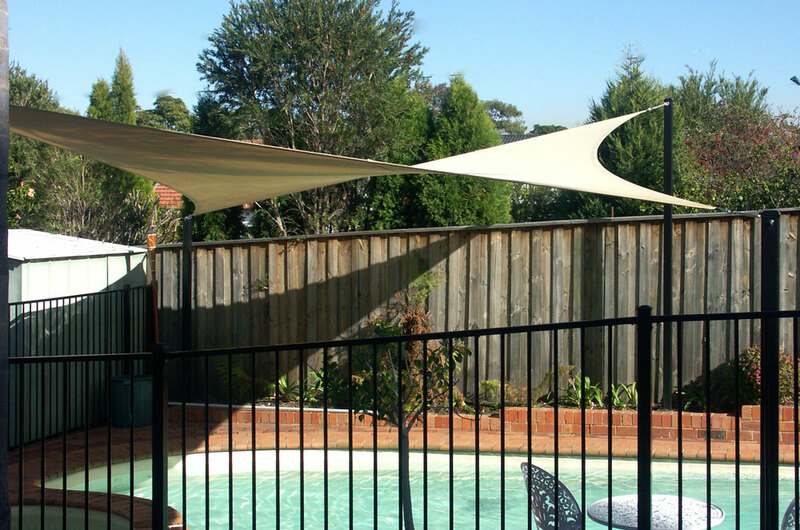 DIY Shade will help you install a high UV protective shade cloth sail over your pool, courtyard or outdoor area that will protect you and your family from the harsh Australian Sun. 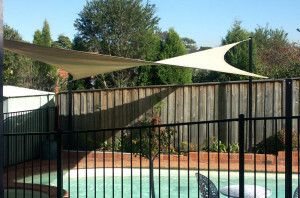 With 95% UV protective shade cloth fabrics you can enjoy the summer sun in safety and comfort. This book is designed to help you install a professional quality Shadesail. 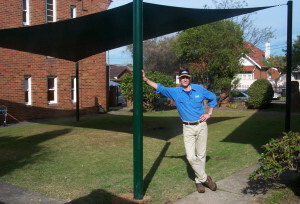 It’s been written by an industry expert with over 14 years experience in the industry and thousands of shade sail installation’s under his belt. If however you order your copy and you find it doesn’t cover the information you’re looking for then all you need to do is contact us with in 30 days and we’ll arrange for a 100% refund of your purchase price. 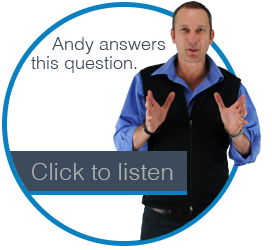 Andy McLeod founded his company Shade Australia in the summer of 2000 believing that as the hottest country on earth with the highest rate of preventable skin cancer in the world, Australia should be the leader in the provision of high quality shade for outdoor activities. Andy has been involved in the design, manufacture and installation of thousands of shadesails and this book is a compilation of the knowledge he has gained over that time.